In this episode we discuss mobile video, video tips, camera apps, editing apps, and how we can start using video in Extension. Posted in Android, App Review, EMDUG, Entertainment/Hobby, Extension Service, iOS, iPad, iPhone, Media Production, Video. One of our EMDUG users recently asked whether it was possible to produce a podcast on an iPad or iPhone. Well yes, it is possible, as a matter of fact. You can use any audio recording app (there are hundreds) to record an audio podcast. There are, however, some apps which allow you to produce more professional podcasts by giving you editing, mixing and file upload options. VR+: Voice Recorder – simple and basic. Allows you to record and append audio in a linear fashion. Garageband – record audio and edit it, add music beds and post/upload to iTunes, Soundcloud, Facebook, YouTube, etc. 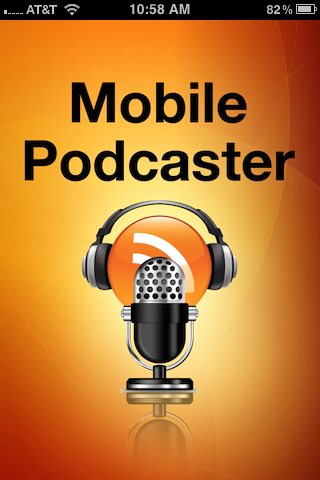 Caster: Mobile Studio – an app actually geared towards making podcasts. Allows importing audio files, recording/editing/mixing, and export via FTP, email and Twitter with more options to come including video podcasting. Mobile Podcaster – another podcasting specific app which allows you to post directly to WordPress sites. BossJock Studio – great little podcasting app, allows file imports and has automatic ducking (background music becomes softer when you push a button to talk). NOTE: You can obtin a better audio recording on an iPhone by using an iRig Mic or iRig Mic Cast by IK Multimedia. On an iPad, you can connect a USB mic such as the Samson Meteor using the Apple iPad Camera Connection Kit. Posted in Communications, iPad, iPhone, Media Production. © 2019 Extension Mobile Device User Group, all rights reserved.